Maryland had its seven-game winning streak snapped in Saturday’s loss at Indiana, but despite losing two of three in the weekend series, the Terrapins (29-13, 13-5) still sit atop the Big Ten. Their next test comes Wednesday, when they travel to Aberdeen, Maryland, to take on the Towson Tigers in the Ripken Cup. Friday’s matchup was suspended after two innings due to weather, and Terps’ starter Brian Shaffer did not return to the mound when the game resumed Saturday. Maryland’s bullpen, which has been strong for most of the year, faltered, as Ryan Hill and Hunter Parsons surrendered a combined seven runs as the Terps fell. They won behind Tyler Blohm’s strong start and an offensive outburst Saturday, but the bullpen faltered again Sunday in a loss shortened due to a travel curfew. Zach Jancarski (.337) and Marty Costes (.353) continued to lead the Terps at the plate, each homering and notching two multi-hit games over the weekend. Costes went deep for the team-leading ninth time this season, matching his season total from a year ago. Kevin Smith also awoke from his brief slump with a hit in all three games, including his eighth homer of the season Sunday. Meanwhile, the Tigers have lost five of their last six contests, including dropping two of three at home to William & Mary over the weekend. Towson (16-25, 4-11 CAA) has won consecutive games just three times this season, and sits seventh out of nine teams in the CAA. Richie Palacios has been an offensive spark plug for Towson of late, hitting safely in 18 of the last 19 games. The shortstop is the only Tiger to play in all 41 contests, and leads the team in nearly every offensive category, including average (.340), on-base percentage (.429), slugging (.506), doubles (12) and runs scored (34). 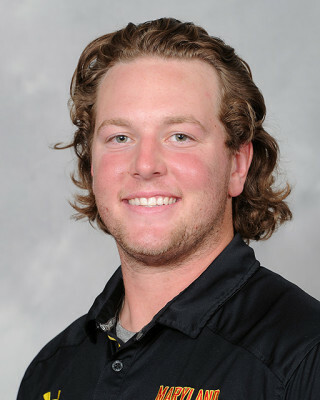 Third baseman Richard Miller (.304 average, 27 RBIs) has aided Palacios in the middle of the order, but these two have received little help from the rest of the Towson lineup. Three regulars (Trey Martinez, Colin Dyer, Logan Burke) are hovering around the Mendoza Line, and the team as a whole is hitting .244. Towson’s inconsistency at the plate is compounded by the pitching staff’s season-long struggles on the mound. The Tigers own a 6.20 team ERA and a .297 opponents batting average, and have surrendered double digit runs in 11 of their 41 contests (26 percent). All four of their qualified pitchers have ERAs north of four, and their most consistent starter, Kevin Ross (4.13 ERA) has been a constant victim of bad luck, as he is still winless on the season. The bullpen has been as much of a question mark as the starting rotation, as of the Tigers with at least eight relief appearances, only left-hander David Marriggi (3.21 ERA, 14 games, 3 starts) has posted an ERA under seven. Marriggi’s success on the mound earned him a start in Sunday’s contest against William & Mary. Other notable Towson relievers include Alex Cuas (7.91 ERA, 33 IP), Brandyn Vogtsberger (8.44 ERA, 16 IP) and Bo Plagge (11.50 ERA, 18 IP). The Terps and Tigers last faced off in the Ripken Cup on May 6, 2015, when Maryland defeated Towson 9-2. Current Maryland ace Brian Shaffer started for the Terps in that game, throwing five innings of two-run ball to pick up the win. The Ripken Cup was cancelled last year due to poor field conditions. Junior transfer Ryan Hill will take the mound for the Terps Wednesday, making his second start of the season. The right-hander has been Maryland’s most reliable bullpen piece this season, tossing 30.1 frames over 18 relief appearances. He struggled in his last appearance, however, surrendering three runs on three walks and a hit in an inning of relief after taking over for Brian Shaffer when Friday’s suspended game resumed Saturday. Hill’s lone start of the season came in Maryland’s last midweek contest, a 6-0 victory over William & Mary. Hill tossed three hitless innings in the win before handing it over to the bullpen to complete the shutout. Hill will be opposed by senior right-hander Matt Allen, making his fourth start of the 2017 campaign. Allen has had an up and down season, as he posted his worst start of the career April 5 against Cornell, allowing 13 runs (nine earned) over 3.1 innings of work. However, he pitched much better in his most recent start, picking up the win against George Washington on April 19 after throwing six strong innings of three-run ball. He last appeared in Sunday’s loss to William & Mary, pitching 1.1 scoreless innings with a strikeout. Allen threw one inning against Maryland in the 2015 Ripken Cup, allowing one run on one hit, a Tim Lewis triple.